I feel special every time I receive a personalized gift such as this one sent by our friends from Gold Seas Chunky Tuna. I missed the big launch for Gold Seas Tuna held a couple of weeks ago but I promised to include it on my next grocery shopping. 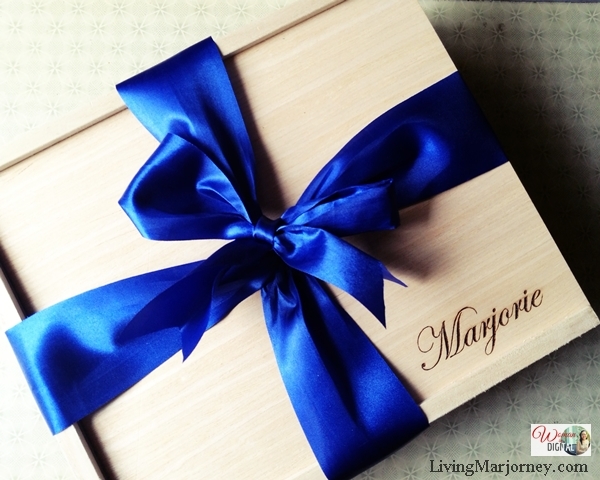 Because I was a bit busy lately taking care of my sick sister in the hospital, coming home with this beautiful gift box idea designed by Winsome Box was such a delight. 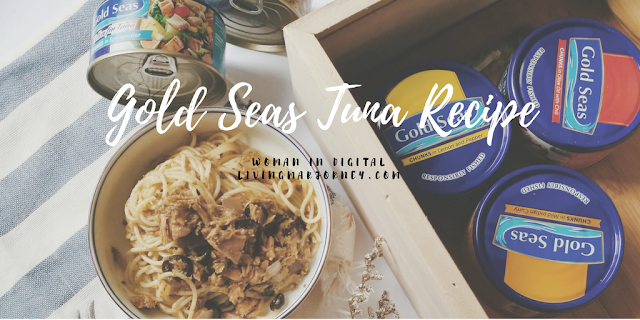 The next day, I prepared her a delicious, home cooked meal using Gold Seas Chunky Tuna. My name was engraved in the box and my initial stitched by Beyondstitched. 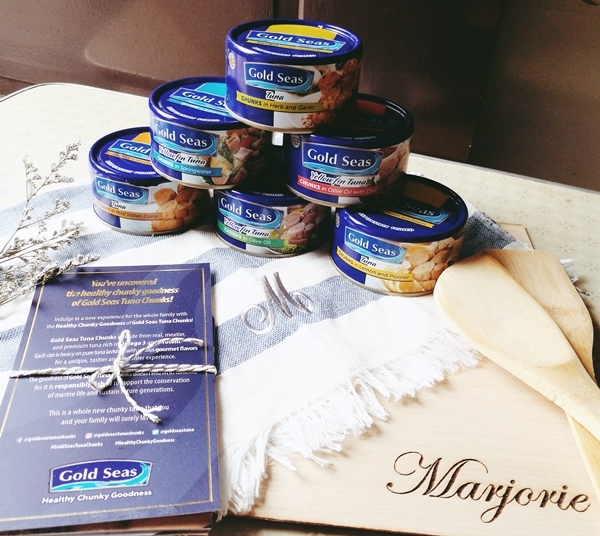 Inside the box has six variants of the new Gold Seas Tuna complete with wooden cooking spoons, a chopping board and a Philippine made kitchen towel. Now with the cans of Gold Seas Tuna Chunks. Each can comes in a nice, tidy easy open can. It's ready to eat, so convenient you can also bring it when traveling. Gold Seas Tuna Chunks in Herb & Garlic is very flavorful but I like how it complements with a little pesto sauce. I bet it will be great for ciabatta with tomatoes and olive oil as well. For more recipes, just click here. Do you have other recipes you'd like to share?